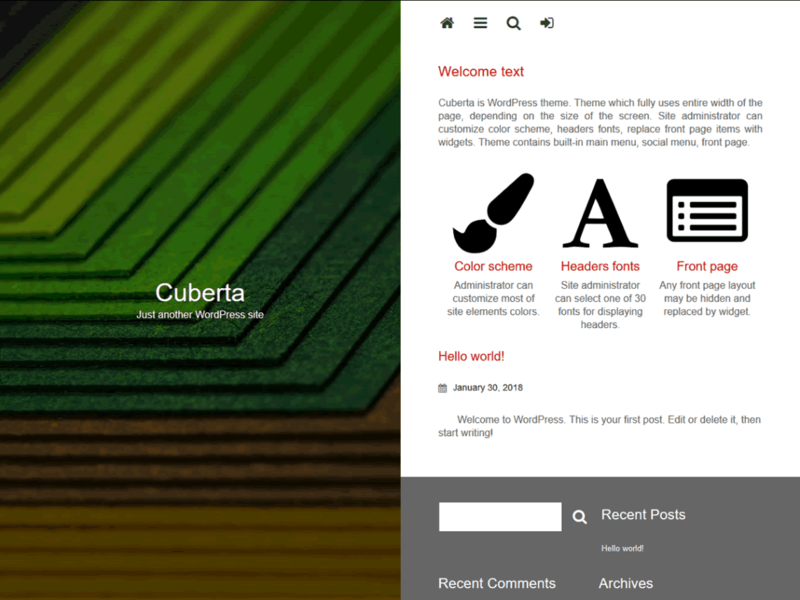 Cuberta is a unique WordPress theme. It is adapted for wide and narrow screens. Cuberta has many options for customization site colors, fonts and front page layouts.